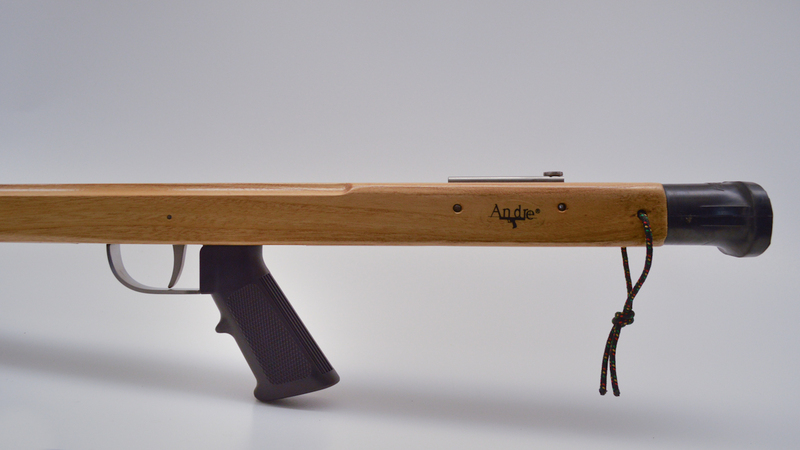 IRONWOOD MIDHANDLE 110 - made from ironwood one of the most durable and heaviest timbers in the world. Along with the woods' natural high lustre, make it prized by cabinet-makers and fine furniture craftsmen. 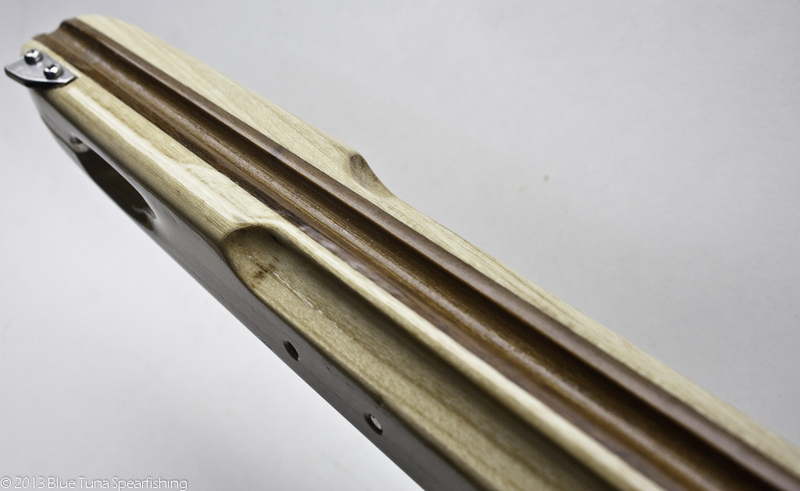 The wood is dense (0.85 1.1 g/cm)? and texture is moderately fine to fine and even. 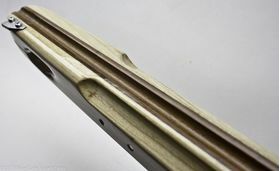 Durability: ironwood is rated as very durable immune to termite attack; service life of up to 100 years in direct soil contact and more than 20 years for marine work in tropical waters has been reported. Ironwood is often used for marine constructions such as pilings, wharfs, docks, sluices, dams, ships, bridges, but also used for power line poles, masts, roof shingles and house posts and to a minor extent as frame, board, heavy duty flooring, railway sleepers, fencing material, furniture etc. The IRONWOOD MIDHANDLE 110 speargun is your perfect inshore speargun. It's compact and powerful! Whether you are in the kelp beds of California or the wrecks and reefs of Florida...you can easily manuever around structure picking off your favorite pan friers, while packing the power to land larger pelagics like white seabass, striped bass, snapper, grouper and cobia. 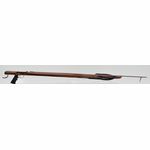 The Andre Spearguns IRONWOOD MIDHANDLE 110 is a midhandle speargun giving you more maneuverability. 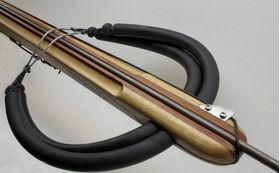 The mechanism and shaft sit at the end of the speargun allowing for more band stretch giving more power. The hardwood laminate layers on the IRONWOOD MIDHANDLE 110 are laminated from side-to-side, giving the IRONWOOD MIDHANDLE 110 a wide body, with a narrow vertical build. 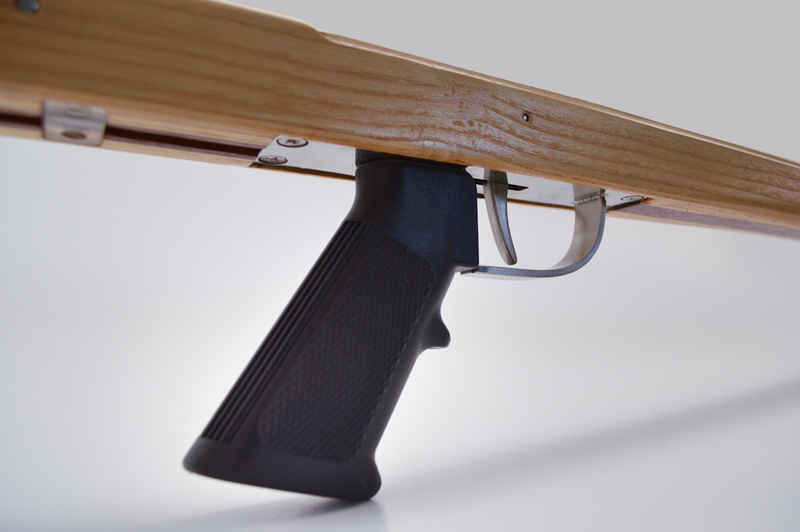 This wide design adds weight to the speargun to decrease muzzle kick & increase accuracy. Furthermore, the sleek design offers less drag while tracking the fish. 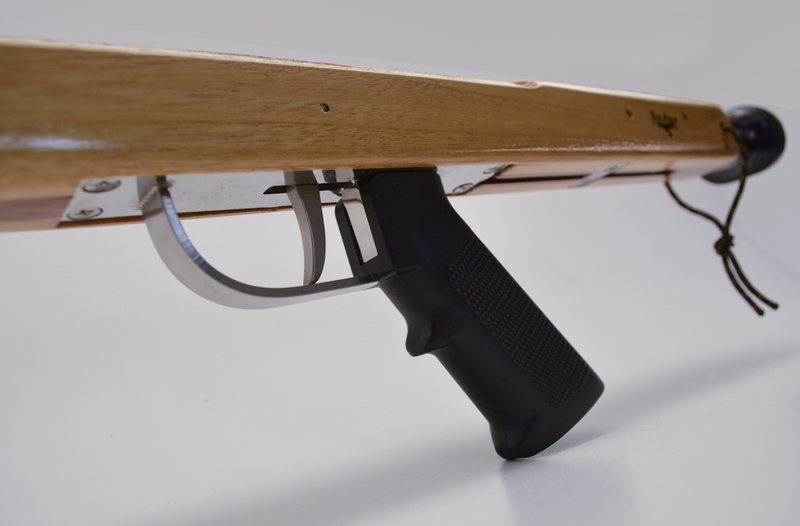 The IRONWOOD is sandwiched between two paduk laminates to create the ideal weight for a ballasted speargun. 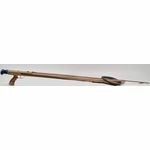 100% Satisfaction Guarantee - Experience the difference with your new Andre Spearguns Ironwood Midhandle 110 - 45.75 inch stock length, two 5/8"x18" power bands, 9/32"x50" shaft, and 17 feet effective shooting range.